Lucasfilm announced today that their first film in the new standalone Star Wars stories series, Rogue One, has begun principal photography. 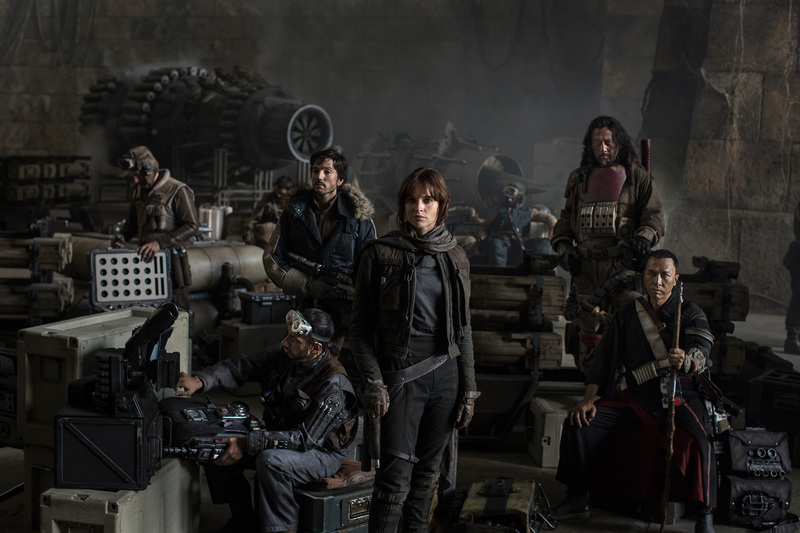 Gareth Edwards (Godzilla, Monsters) is directing Rogue One, which tells the story of resistance fighters who have united to steal plans to the dreaded Death Star. The film is produced by Kathleen Kennedy and is slated for a December 16, 2016 release. The filmmakers have assembled a stellar cast, including Felicity Jones, nominated for an Academy Award for her leading role in The Theory of Everything; Diego Luna, who was featured in 2008’s Oscar-winning Milk and the critically acclaimed Killing Them Softly; Ben Mendelsohn, recently nominated for an Emmy for his leading role in Bloodline and co-starring in the upcoming Mississippi Grind; Donnie Yen, Hong Kong action star and martial artist who starred in Ip Man and Blade II; Jiang Wen, who co-wrote, produced , directed and starred in the award-winning Let the Bullets Fly and Devils on the Doorstep; Forest Whitaker, recently featured in the critically-acclaimed Lee Daniels’ The Butler and winner of an Academy Award for his leading role in 2006’s The Last King of Scotland; Mads Mikkelsen, who starred in The Hunt and was the memorable villain from 2006’s Casino Royale; Alan Tudyk, who plays a performance-capture character in Rogue One, stars in the soon-to-be-released Con Man series and Trumbo, which releases this November; and Riz Ahmed, who was recently featured in Nightcrawler and starred in the BAFTA-winning film Four Lions. Veteran ILM visual effects supervisor John Knoll, who shares a long history with the Star Wars movies, dating back to the mid-1990s, originated the idea for the movie. Allison Shearmur (The Hunger Games: Catching Fire, Cinderella), John Knoll, Simon Emanuel (The Dark Knight Rises, Fast & Furious 6) and Jason McGatlin (Tintin, War of the Worlds) are executive producers. 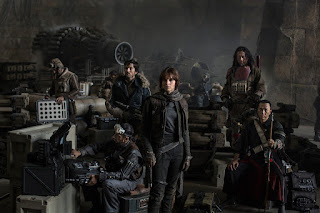 Kiri Hart and John Swartz (Star Wars: The Force Awakens) are co-producers. To create the lived-in, realistic feel of Rogue One, Edwards chose Greig Fraser (Zero Dark Thirty, Foxcatcher) to be his director of photography and Neil Corbould (Black Hawk Down, Gladiator, Saving Private Ryan) to be his special effects supervisor. Star Wars and Lucasfilm veteran Doug Chiang (Star Wars: Episodes I-II, Forrest Gump) and Neil Lamont (supervising art director for the Harry Potter series, Edge of Tomorrow) will be the production designers. Additional crew members will include stunt coordinator Rob Inch (World War Z, Marvel’s Captain America: The First Avenger), creature effects supervisor Neal Scanlan (Prometheus) and co-costume designers Dave Crossman (costume supervisor for the Harry Potter series, Saving Private Ryan) and Glyn Dillon (costume concept artist for Kingsman: The Secret Service, Jupiter Ascending). I have a feeling this is going to be a suicide mission for most of these guys since Mon Mothma says "Many bothans died" getting the intel.